My boss, the Chief Engineer, was heavily invested in the waste burning project. My council workload was becoming a problem for him. He came to discuss the situation with me, saying he was finding that when he needed to discuss work with me I was not around. Could we come to an arrangement whereby my council business would be confined to specific days of the week? I should point out that, up to this point, the company had been extremely generous in allowing me time off with pay for these duties, subject to my returning the council attendance allowance to them. A subsequent meeting with the Site Director resulted in the suggestion that a voluntary redundancy package could be put together should I wish to leave. For me the suggestion was welcome, provided the terms were right. It would enable me to embark on my preferred career as a writer and/or politician. When the terms were put to me, they were indeed generous. A tax free lump sum, roughly equivalent to two years salary. In addition, my qualifying service for my future pension would be increased from 18 to 20 years and the pension would be paid from age 60, not 65. Coincidentally, the company’s pension had been a subject I had addressed in an article for the Senior Staff Association magazine a few years before. A number of the members were exercised about what seemed like inadequate communication between the executive and the membership. I and one of the Chemists from the R&D department in Coventry had, independently of each other, proposed that a members’ newsletter or magazine was needed. “Why don’t the pair of you get together and produce it?” was the challenging response, and we did. There was a general feeling that Courtaulds’ staff pension scheme did not measure up to those offered by the civil service and other “blue chip” companies. I investigated and concluded that our scheme was – I think my words were – “disappointingly average,” backing that conclusion with data gleaned from various sources. You could call it my first piece of investigative journalism! The basic principle of all such schemes, based on rules established by the tax authorities because the contributions were tax exempt, was that the pension earned by the combined contributions of employer and employee, extending over 40 years, should not exceed 2/3 of your final salary. More than 30 years later, now that I have been in receipt of a pension from the scheme for 17 years, I have to say I am grateful to have been a member whilst I was an employee. To her credit Freda supported my decision to leave my safe, secure job. Ian was now well settled in his position as a student nurse, living in Lincoln and making new friends. It would not be easy living on the meagre attendance allowance and Freda’s salary from the Spastics’ Society, but the lump sum redundancy payment would yield some income if wisely invested and I hoped to be able to generate some additional income from writing. I left Courtaulds shortly before my 45th birthday in November 1986. One of the first things I bought on the strength of my severance package was a Word Processor. 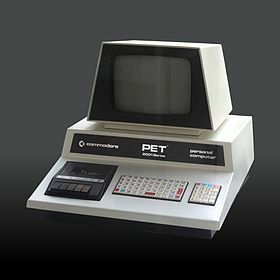 Since the early 1980s I had had access to an Apple 2 desk top computer at work and, more recently, this had been replaced by a Hewlett Packard PC which was networked with new HP mainframe computers. The Amstrad Word Processor came in two versions – the basic 256 kb machine with one built-in floppy disc drive and the larger 512 kb machine with two disc slots. I opted for the 512. The main advantage of this being that you did not have to keep swapping discs. To explain that properly, it is necessary to realise that neither 256 nor 512 kb of on-board memory allowed for any software to be permanently installed. You used one disc to load the software, then saved the files you created to a separate floppy disc. This was infinitely easier with two discs than with one. I had become quite accomplished at using Lotus 123 spreadsheets for work so my colleagues purchased, as their leaving gift for me, a spreadsheet programme that would run on the Amstrad. Because of the limited on-board memory you had to create your spreadsheet from scratch, defining how many columns and lines you would need. A long way from the seemingly infinite number of columns, lines and sheets that can be utilised on present day spreadsheets! There is nothing in ordinary life that I can compare to the excitement of an election day and its culmination in the tension that accompanies the counting of votes. The canvassing that takes place in the lead up to the election is far more about identifying your supporters than selling yourself and your policies. When election day arrives you use that information to make sure that all of those who have promised support actually turn up at the polling station. Of course, you cannot know for certain who they cast their vote for, but the fact that they have voted, having previously stated that vote would be for you, gives you reason to hope. Posters, too, are a guide to the strength of support. Unlike in many other countries, in the UK candidates are not permitted to place posters on street furniture. They are only allowed on private property. Where a house is close to the footpath that means a window. Where there is a front garden it could be a stake in the ground. Either way, it is a positive indication that at least one person in the household supports the advertised candidate. In the last few days of the campaign lists of supporters and their addresses and voter ID numbers are made – these days I am sure this is done on computers, in the 1980s it was still done using ball point pens and carbon paper. Helpers are positioned at each polling station where they politely ask each voter for their polling number. This information is then returned to a central point, the “committee room”, where those of your supporters who have voted are crossed off the list. Other helpers are sent out to knock on the doors of supporters – or they are telephoned – to remind them of the importance of voting and to offer a lift to the polling station. This activity becomes more and more hectic as the time approaches for the polls to close. By that time you have some idea of how many of your claimed supporters have voted. 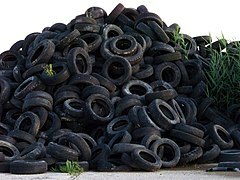 And, probably, a fair idea of what percentage of the total that is. It is only at the count that the accuracy of your estimate will be revealed. 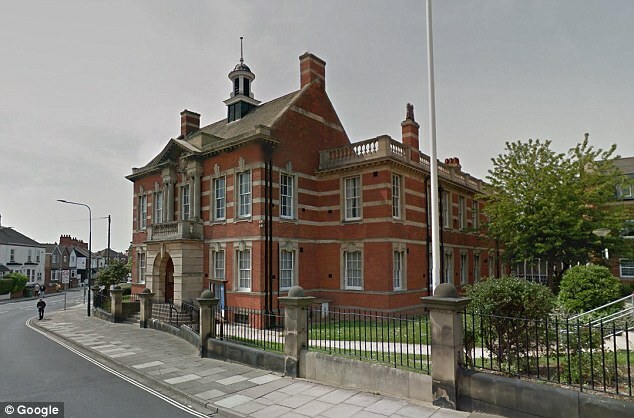 The count for Cleethorpes elections traditionally took place in the Town Hall. This was true for County Council elections as well as Borough Council elections. Counts for the County were carried out in each of the constituent Boroughs and Districts. Our only information about what was happening in those other centres came from the local radio – there were no mobile phones with which to communicate with our colleagues across the county. The counting procedure begins with the counting of total votes cast for each electoral division. The voting papers are then separated into piles for each candidate. In May 1985, in the division for which I was seeking election, the Town Clerk (Chief Executive Officer), in his capacity as returning officer overseeing the election, chose to count the votes of the sitting candidate first. That number amounted to rather less than 1/3 of the total votes cast. I was immediately excited – I could not see how the other candidate had received more than 1/3 of the total, which would mean that I had. As the counting of the remaining papers continued I paced up and down the corridor outside the council chamber, hardly daring to believe that I was about to be declared the winner, but mentally rehearsing my acceptance speech anyway. In due course the fact of my election was confirmed and announced. No other Liberal was as successful in Cleethorpes and, we quickly learned, the same was true in Grimsby. Later, listening to the radio as the final results were declared, we discovered 3 other Liberals had been elected, alongside 35 Conservatives and 36 Labour candidates. Liberals held the balance of power – effectively the casting vote – and thoughts immediately centred on how we could best use this power in the interests of the County. I need now to provide an outline of the responsibilities of the different levels of local government in England at that time. Counties oversaw the education service, from kindergarten to third level and adult education; Social Services, notably children’s homes, nursing homes, family support and home caring – although there were private sector nursing homes there were also several council run homes. These were the two largest in terms of budget and number of employees. District Councils were responsible for Housing, local parks and recreation, planning, local roads and footpath maintenance, refuse collection and disposal. The County Council operated through seven committees, each responsible for a specific service, with oversight by an eighth committee, the Policy Committee, which consisted of the chairs of each of the service committees. The first task for the Party group in the new council was to elect a leader who would conduct negotiations that might lead to the formation of a coalition. We chose John, the youngest of the four. He was the most experienced, having been elected to Hull City Council a couple of years before. Originally from Coventry, he had come to Hull to study and stayed, getting a job with the Hull Daily Mail. Cleethorpes was (indeed, it still is) twinned with Konigswinter in what was then West Germany. The Cleethorpes Liberal Party participated in a number of exchanges with members of the Konigswinter FDP. I recall once writing a speech in English, getting a young member of the FDP to translate it, and then delivering it in German, thanking our hosts for their hospitality. The speech was well enough received though I have doubts about how intelligible my accent made it. We sometimes discussed the suitability of the match between the two communities. Cleethorpes is a traditional seaside resort and, at the time, was quite run down. Konigswinter is close to Bonn, at that time the capital of West Germany, so full of diplomats, civil servants and lawyers. Our group, made up of teachers and self-employed small traders, had, on the face of it, very little in common with the medical doctors, lawyers and civil servants that made up the German group. Nevertheless we got on very well, thanks, I suppose, to our shared political beliefs and commitment to European “Freundschaft”. On one occasion I organised a coach shared with members of other groups with Konigswinter “twins” – sports clubs, music societies, amateur theatricals. This must have been for the tenth anniversary of the twinning which was celebrated on both sides. Apart from the events organised by our hosts, I booked a boat trip on the Rhine and Moselle which ended in a village where wine was being dispensed free of charge from a fountain in the square. I don’t think any who went on that trip was disappointed. Throughout 1984 the main preoccupation of politicians and the media, in the UK, was the miners’ strike and the stand-off between Margaret Thatcher’s government and the National Union of Mine Workers led by Arthur Scargill – a stand-off that frequently turned violent. At Courtaulds’ Grimsby site we had our own steam and power generating plant. There were 9 boilers, 4 coal fired and 5 oil fired. Thus, we were able to choose a fuel, or fuel combination, based around the fluctuations in price of these two. And, when the strike meant we were unable to obtain coal, we could run entirely on oil. For the rest of the country there was increasing polarisation between those on the right who believed the government had a duty to stand up to what they saw as too much power in the hands of the Unions, and those on the left who saw the government’s action as an attack on the working classes. North East Lincolnshire did not experience this anger in quite the same way as those districts with a mining tradition. 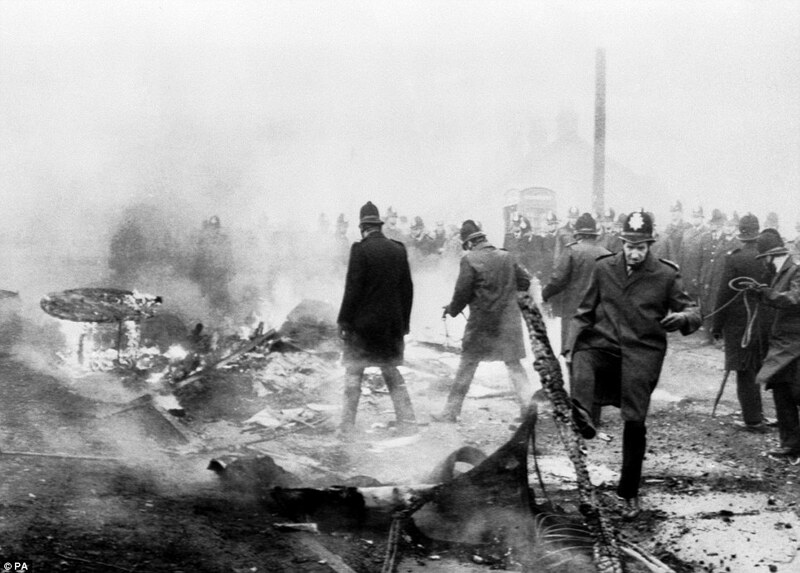 But it did impact us in two ways: coal was being imported through the port of Immingham, which was therefore picketed in an attempt to prevent this; and the police brought in from various parts of the country to “keep the peace” on picket lines throughout the Yorkshire coal field were provided with accommodation at a holiday camp on the outskirts of Cleethorpes. None of this prevented us from campaigning to get Liberal Party candidates elected to Humberside County Council in May 1985. It just meant we had to face rather more abuse when canvassing in certain areas. Nor had some much older issues gone away, fox hunting being one and abortion another. David Steel had, as a very young MP, long before he became party leader, introduced into Parliament the private members’ bill that legalised abortion in England and Wales under certain very specific conditions. That was back in 1968. Sixteen years later it was still something we would occasionally come across when canvassing: “I could never vote Liberal after what David Steel did.” You just had to accept it and move on. Some people still take a similar view of the Liberal Democrats after their participation in the coalition government from 2010 until 2015. In politics memories are often long when it comes to passionately held beliefs.